What is Twitter all about? Do I really need a Twitter profile for my business? Will I get any followers on Twitter? These are some of the questions we hear on a daily basis from some of our clients when we talk about social media marketing. Facebook at the moment seems to have everything in place for sharing interesting content and to inform your network of new services and news in your industry. The big question is however: Is Facebook the ultimate social network and should I use Twitter at all? Facebook has our social life in one place where we can do everything we love. Everyone in our network is just a click away, we have all our photos organised in chronological order, and we can see everything that our family and friends are talking about. Why do we need Twitter? It is quite simple: Twitter opens up your “social presence” to the world. What if someone you don’t even know agrees and finds your message (update) interesting? What if they want to tell their network about it? With Twitter this is all possible. 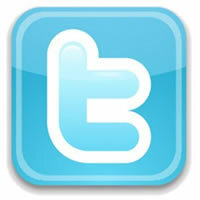 Twitter with its real-time search engine can cause your message to spread within seconds to every corner of the world. Using Twitter brings out more opportunities where people can consume and share your message as it happens. Twitter is a 24 hour news portal where everyone is a personal reporter. This is not just a major step in internet marketing, but advancement in communicating as well. Back in the day, we didn’t need the internet at all, but now we can’t stand a day without it. Even though you will find many spam profiles on Twitter where people are using celebrity names to get their message out, I have found that Twitter is an excellent social media channel to help spread your word about your business. Whether you are promoting a new blog post you have published, a new website you have launched, a new service you are offering, I can bet you that there will be real people on Twitter that will find your message interesting and follow you to start and engage in conversation.